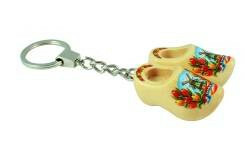 These small wooden shoes are a real Dutch object, and can not be missed between your souvenirs. 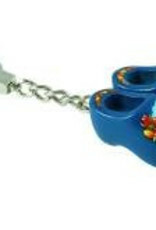 They are very nice to hang on your key ring, or to give as a gift to someone. 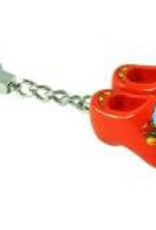 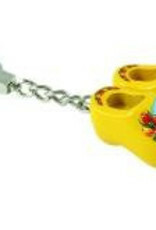 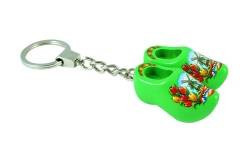 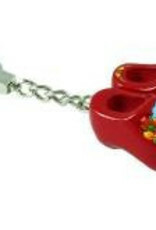 This clog keychain is made by the largest clog factory in the Netherlands. Here they have been made since 1938 alongside many other traditional Dutch wooden clogs and souvenirs. 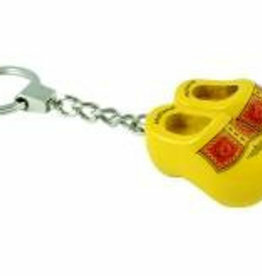 For all clogs, the highest quality poplar wood is used, with the largest craft being processed into beautiful clogs. Everything is designed by this clog factory and made with passion. 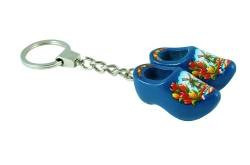 This is also evident in these beautiful clogs, finished with beautiful paintings and a shiny layer of varnish. 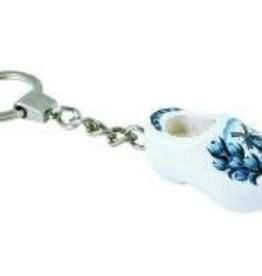 This small wooden shoe is a real Dutch object, and can not be missed between your souvenirs. 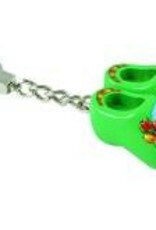 Very nice to hang on your key ring, or to give as a gift to someone. 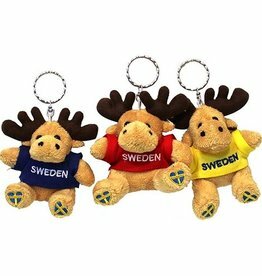 These plush elks have the text 'sweden', and can not be missed between your souvenirs. 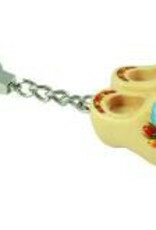 They are very nice to hang on your key ring, or to give as gifts.